In the machine-building industry, it has become common practice to use electronic pressure switches. The use of mechanical pressure switches is on the decline. The advantages of the electronic version of the pressure switch are a digital display, adjustable switch points and considerably higher reliability. An electronic pressure switch is based on an electronic pressure sensor (often also referred to as a pressure transmitter) and therefore also provides its functionality. Because of the integrated electronic switches used to open or close the electric circuit, it performs simple control tasks. The switch point and reset point can be set individually and conveniently on the device. By default, a pressure switch only provides the binary signals such as switch point or reset point “reached” or “not reached” but it does not provide any information how far the current pressure is away from the switch or reset point. That is why many pressure switches have a display and additionally an analogue output signal. This allows check the applied pressure or the set parameters on the display. Of course, the pressure value can also be transmitted via the analogue output signal to a control unit. This type of electronic pressure switches can be considered a 3-in-1 instrument. 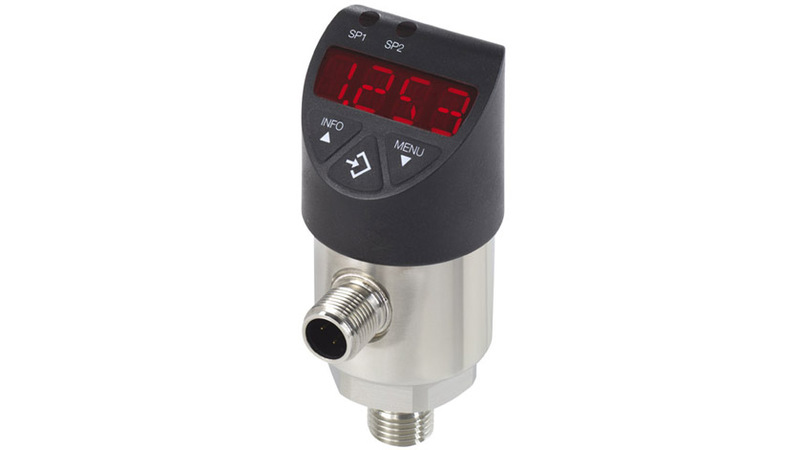 It combines an electronic switch, a pressure transmitter/pressure sensor and a digital display in a single instrument. In addition to the electronic pressure switch PSD-30, WIKA will soon also be offering temperature and level switches of identical design.